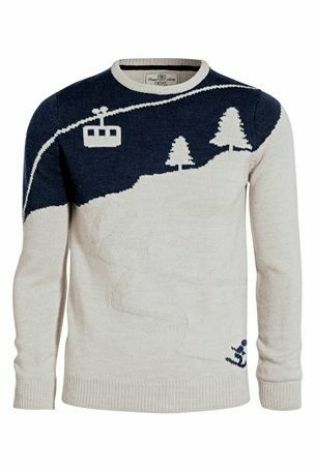 Winter season textured knitted jumper featuring a cable car and ski track design. Who said a Christmas ‘had to be’ just for Christmas? 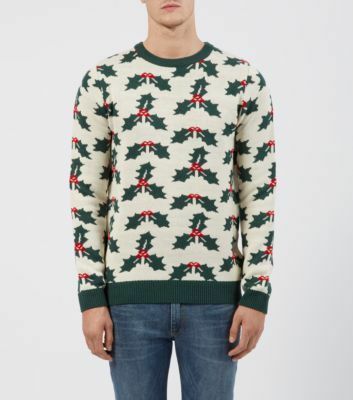 … You could wear this one to the ski chalet too. 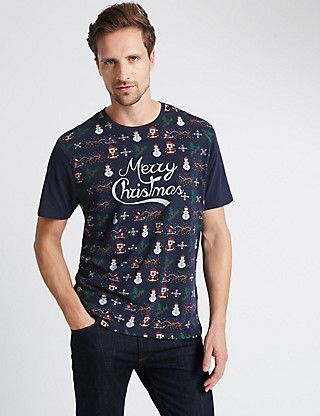 Let Santa rock you out this Christmas. 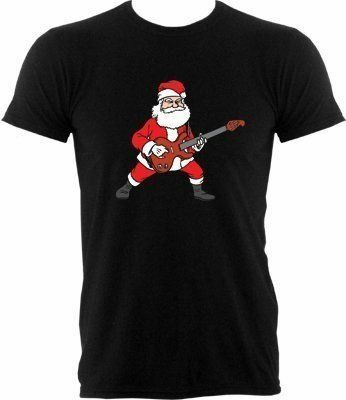 Men’s black t-shirt with Santa strumming the electric guitar. Pun-tastic! 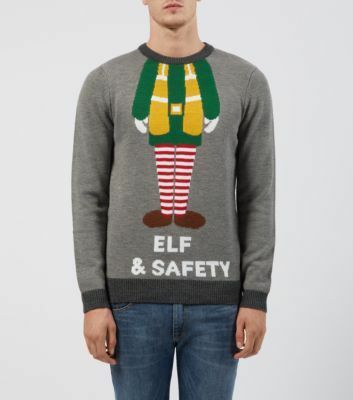 Perfect secret Santa gift for the health and safety officer at work…go on, we dare you!